OSHA Training - Indiana, Illinois, or anywhere! Safety Training Services, Inc. holds open enrollment OSHA training courses in our Highland, Indiana facility every month. Our OSHA 10 Hour for General Industry Training is intended to provide instruction on a variety of general industry workplace safety and health topics to entry level participants. This training has several mandatory presentations along with a selection of optional topics to better customize training to the intended audience. Our OSHA 10 Hour for Construction Industry Training is intended to provide a more detailed look at construction industry standards and policies concerning health and safety issues. Our OSHA 30 Hour for General Industry Training is a more detailed & extensive OSHA training than the 10 hour. It is aimed at supervisory and management personnel. Whether you are in Indiana, Illinois, or anywhere else, Safety Training Services is a great choice for practical, hands-on OSHA training! 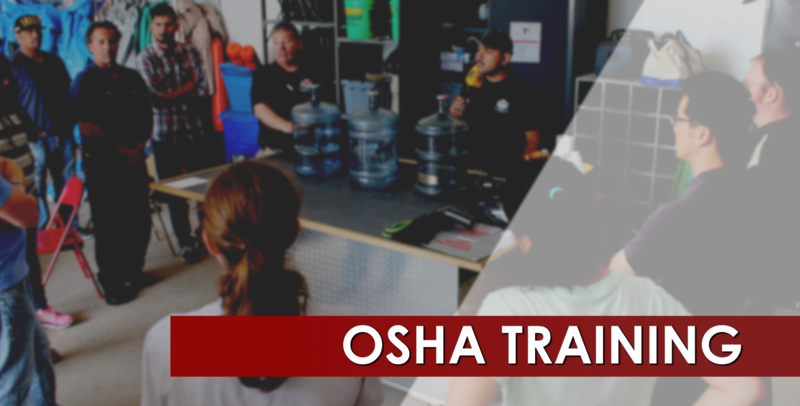 Our OSHA training courses are presented with a mixture of classroom instruction and hands-on exercises. Team development skills are emphasized in all aspects of this course.